Mom would call me to help with some chore, but I’d pretend not to hear. As usual, I had my nose buried in a book. Reading was a favorite activity of mine and a visit to the local library was like having unlimited access to a candy store. The library only allowed children to check out three books, but that was a totally inadequate amount to last two weeks until the next visit. Fortunately, I had a brother and four sisters, so combined we could take eighteen books. We would swap our books around so everyone got to read them. If several were eager to read the same book, it was necessary to hide it between reading sessions to keep possession of it. We owned some books from birthday and Christmas gifts and being voracious readers, we would reread those when our supply of fresh reading material became depleted. A Is for Annabelle – I have a page about Tasha Tudor’s book, A Is For Annabelle. It is such a marvelous ABC book about a vintage doll and her wardrobe. When Mom made Gone with the Wind style dresses for my sister’s doll, it reminded me of Annabelle with her delightful wardrobe and the trunk to put them in. Of course, I this list would have to include Curious George. Mom took us to storytime at the public library, an old Carnegie library. I would go down the stairs to the children’s room in the basement. We sat on wooden chairs in stiff rows while the librarian read stories to us. One was Curious George. Years later, as a children’s librarian, I read Curious George to a new generation of children. I loved these books with the pictures of cats dressed in complete outfits and posed in little scenes. The stories weren’t memorable, but the photos were adorable. My sister recently found a vintage copy of this on eBay. Andrew Lang’s Fairy Book Series – There was the Red Fairy Book, the Olive Fairy Book, the Blue Fairy Book, and so on. Each was packed with the best classic fairy tales. There are more, many more stories to stretch your child’s imagination than just Little Red Riding Hood or Cinderella. With these books, they will learn about Snow White and Red Rose, Jack the Giant Killer, Thumbelina, The Tinderbox and folklore from all around the world that was collected by Andrew Lang into the twelve book in the series. There’s a teensy bit of advertising in this video, but the overall message is really good. Never mind about subscribing to their program, just go to the public library and get a free library card for yourself and for each child. Black Beauty was a favorite of mine – A lovely classic story. Children learn a lot about being kind to animals from a story like this. I shed many tears for the mistreatment of this horse. Please, parents, give your children unabridged editions of classics. Look for the original author’s name and then check the title page to make sure it is unabridged. If the child is too young to read the long version, read it aloud to them. Abridged versions often truncate the book too much and remove the wonderful flow of words that made the book a classic. Don’t miss the classic Robin Hood – No, watching the movie is not the same. My book had the Wyeth illustrations. I loved them. This one is even available now on a mousepad. Ah, Maid Marion, Friar Tuck and the Duke of Nottingham. These great stories have broad appeal and are a great way to introduce children to English history. 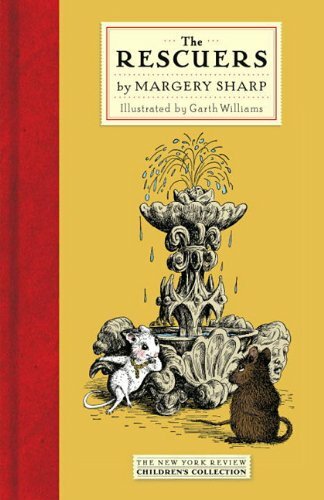 I loved books about orphans – classic stories about orphans. It seems that a lot of books that were special to me are pretty old-fashioned. They were even old-fashioned back in the fifties when I was reading them. Actually old-fashioned could just be another term for classics. Books that have stood the test of time. 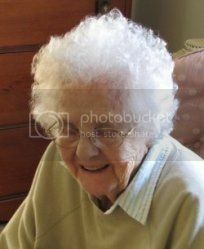 Elsie Dinsmore really touched me. Actually, Elsie had a father, but he was away on business so she was left in the care of hard-hearted relatives. There’s a whole series of these. Heidi was left in the care of her gruff grandfather. She reveled in the freedom of following the goats with goat herder Peter. Pollyanna had a profound effect on me. Fifty years later and I’m still trying to play the “glad game.” Yes, I know Pollyanna was a bit smarmy, but she had pluck and kept trying to do the right thing. She helped many people live a better life in her small village. Daddy-Long-Legs was the mysterious benefactor that sent a young orphan to college. Later on, it was made into a movie with Fred Astaire and Leslie Caron. Large families intrigued me, since I was one of six. These were old-fashioned stories even when I read them back in the 1950s. There were Burt and Nan and Flossie and Freddy, two sets of twins in one family. Freddy was always getting into trouble. What a wonderful book. With four sisters, I could really identify with this family. We all wanted to be Jo, the independent one who wrote stories. 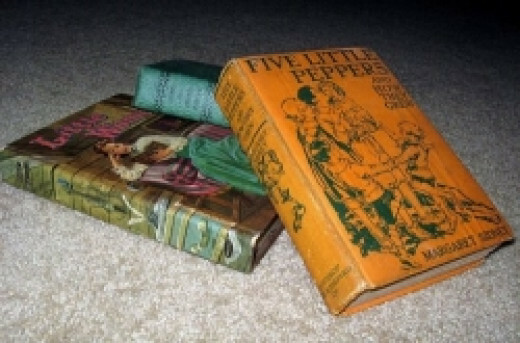 The Five Little Peppers – There was a whole series of these. They lived an impoverished life but Polly Pepper was my favorite for the way she solved problems and looked after her brothers and sisters. This vintage family story shows Polly’s heroic efforts to help her mother. I couldn’t wait to get the next book once I’d started reading a series. The Borrowers are a race of tiny people who live under the floorboards and behind the walls of old houses deep in the English countryside. They borrow bits of food and other things from the “human beans” who live in the house and try to make their homes as comfortable as possible without being discovered. A story guaranteed to explode a child’s imagination! They will never look at the nooks and crannies around the house in the same way again! I loved all the adventures the intrepid Miss Bianca had with trusty Bernard by her side. These almost need no introduction. Through the television series, they live on, but it is still a treat to read the originals. Having grown up in Kansas, these resonated with me. I read the whole series. They did a wonderful job later making this into a movie. I was crazy about horses as a kid. Enjoy the very British lives of Mole and Rat. I’ve always been an Anglophile. This was the original Lassie, not the television one. What a brave dog! Misty of Chincoteague In the 1970s, I visited Chincoteague Islands and saw the wild horses there. Before that, I read every one of Margarite Henry’s horse books. This could have been me. I had reddish highlights in my blonde hair and I read anywhere, anytime. Actually, this one qualifies as an orphan book too. I thought it was fabulous that whiney Mary was rehabilitated by learning to garden and learned to care about other people like the crippled Colin. If your children have seen the movie, then it’s time to read the book too. A complex read, but part of our cultural literacy. Little Lord Fauntleroy went from living in genteel poverty to being discovered as the heir to a fabulous estate in England. He has a hard time winning the heart of his crusty grandfather though. Louisa May Alcott Books – When I first started going to the public library, I wanted to read every book starting with “A” and follow around until I got to “Z.” This was a rather ambitious plan, and I did make it through all the books by Alcott and then by Aldrich. After that, I decided to read more randomly as there were authors I wanted to sample and they were way down the alphabet. I read all of Thomas C. Hinkle’s dog and horse stories – More wonderful animal stories for your child. Black Storm was one of my favorites. Some of these might be found in public libraries. Also, check on eBay for Hinkle’s vintage dog and horse stories. So — were some of my favorites your favorites too? Tell me which ones I missed. As well as many of the books you mentioned I loved “What Katy Did” and subsequent books, “Anne of Green Gables” and other LM Montgomery books and the English author Enid Blyton. One of her early books was called “The Adventurous Four” and was set in wartime Britain. A Scottish teenage boy called Tom took three children for a day’s sailing on his boat. They were caught in a storm and wrecked on an island. They found a cave full of food and discovered an enemy submarine base. Exciting stuff! Australian children’s books I loved were “Seven Little Australians”, read to me by my grandmother and the Billabong series by Mary Grant Bruce, about a girl growing up on a cattle station in the early 20th Century. We rarely visited a library but trips to Sydney always included Greenwood’s Secondhand Bookshop where I was allowed to buy half a dozen books. Bliss! I should have included Anne of Green Gables. Loved that series and last year was reading them again on my Kindle. About 25 years ago, I was able to visit Prince Edward Island and see “Anne’s house.” That was special. Likewise. I reread “Anne” last year just before embarking on a cruise from Montreal to Boston. I was so excited to visit the Anne House on PEI. I was also pleased to find the house in the book was based on it as relatives of LM Montgomery (aunt and uncle?) actually lived there. I loved the library as a child and read voraciously. We lived in the city of Buffalo and I could walk to the library and replenish my supply at will. I read every Louisa May Alcott book and adored Jo March, too. We received books as Christmas gifts and one of my favorites was Treasure Island. What a fabulous story! I continue to read avidly to this day. Yes, I loved Treasure Island and read an abbreviated version to my year 5 one year. I am now reading “Under the Wide and Starry Sky” by Nancy Horan about the life of R.L. Stevenson and his American wife.